Just love how you make such fabulous use of your designer papers, Nina! Perfect trio of stacked penguins this week and I love them with the plaid behind and the strip of purple!! 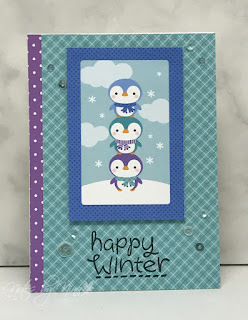 Cute little trio of penguins, Nina, with all your fun pattern papers. Sorry I missed commenting last week, I was in beautiful Kauai. Hope you have a great week. This is extremely FUN and cute!!! Lovely Christmas card Nina and pretty DSP. Love your sweet card...those penguins look like they are having a blast. 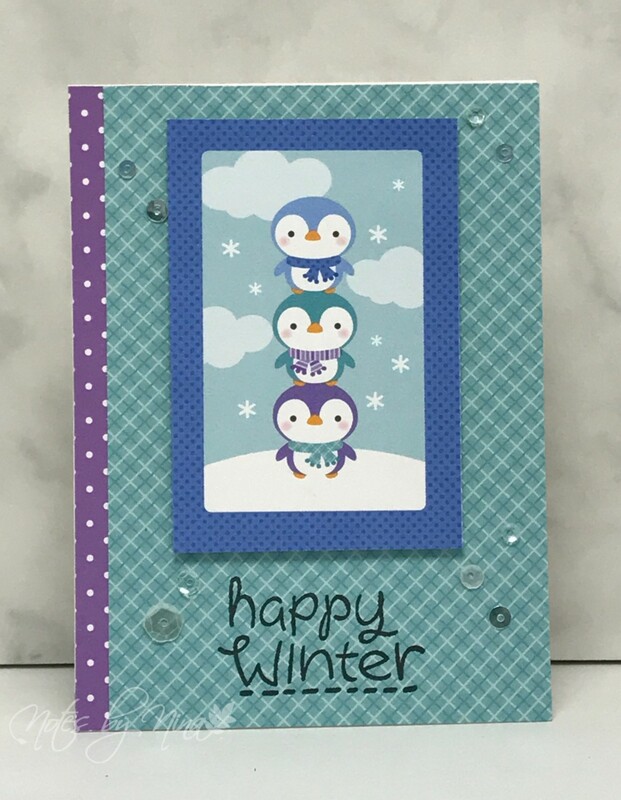 Such a fun card with the stack of cute penguins. Love it. Love the stacked penguins everyone needs a shoulder to stand on right. Such a cute card. Enjoy the rest of your week. 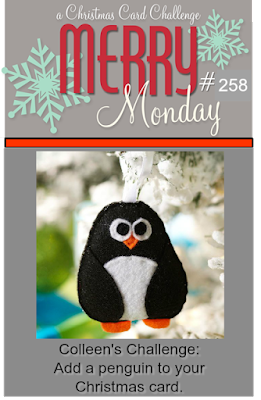 Love the darling stacked penguins! So cute. So, so cute! I love how your penguins are stacked too! I was hoping my card wasn't too corny! LOL! I just love this! Very cute! I've always liked this cute Doodlebug paper! SO fun Nina! I love these Doodlebug friends! !